Mustafa Kanju, son of former Minister of Foreign Affairs Siddique Kanju, confessed to firing the shots that resulted in the death of Zain, a 16-year-old orphan. As per details, the accused said that he resorted to aerial firing only and did not intend to kill anyone. Mustafa asserted that Zain received gun shots accidentally. Forensic reports reveal that Kanju's fingerprints are on a Kalashnikov firearm that was recovered from the scene. 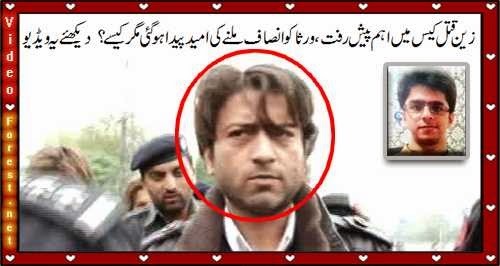 Kanju had been sent on an eight-day physical remand on Friday after a hearing at an anti-terrorism court.